Earlier this week, we shared the news that I.M. Healthy soy butter, a product that’s handy for making PBJs for kids who attend peanut-free schools and daycares, has been linked to E. coli infections, mostly in children. 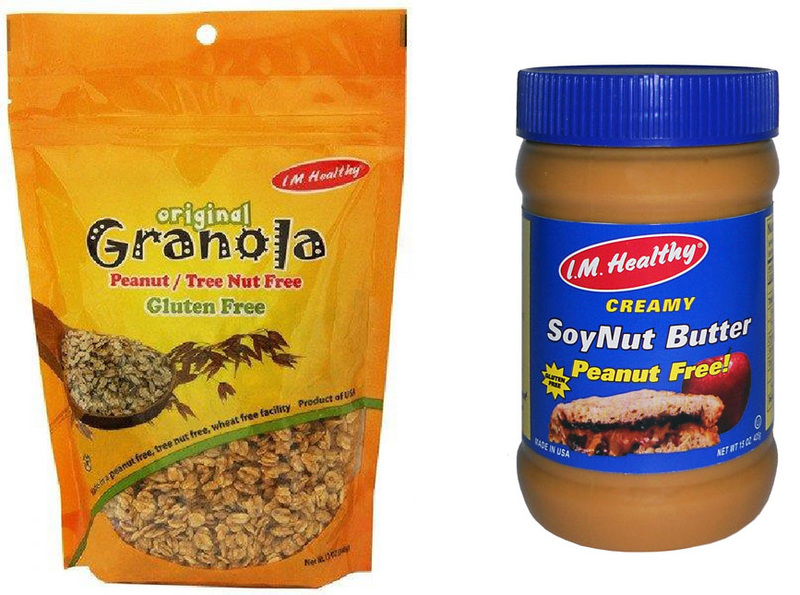 Now the company has recalled all of its products, not just certain batches, and now including its granola as well. In the latest update, the Centers for Disease Control and Prevention shares that 16 illnesses have been linked to the nut butter, with 14 of those being children under age 18. Eight of the patients have ended up in the hospital, and five have developed hemolytic uremic syndrome, a possible E. coli complication that can lead to kidney failure and death. Symptoms of E. coli infection include stomach cramps, vomiting, diarrhea that can be bloody, and a low-grade fever. The recall includes jars, tubs, single-serve cups, and now also 45-pound pails of the soy butter, and is not limited only to specific “best by” dates. The company’s granola is also now included in the recall, which comes in single-serve packages, as well as packages of 12 ounces, 50 ounces, and 25-pound bulk packages. It comes in the flavors Original, Apple, Blueberry, and Raisin and Cranberry.